It was about to come. It came too late, but it came deservingly. 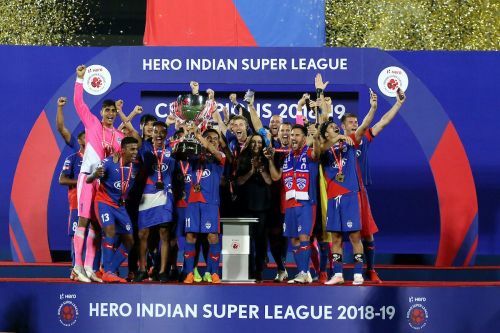 After the heartbreak last year, Bengaluru FC have finally landed the Indian Super League trophy by beating FC Goa 1-0 at the Mumbai Football Arena in Mumbai on Sunday. But the winners had to wait for 117 minutes to score the only goal of the match. Rahul Bheke, who caught the limelight with his exceptional performance this season, scored the goal in a fashionable manner. From Dimas Delgado’s corner, Bheke’s pin-point header hit the post before entering into the net. Putting their disappointments behind, Bengaluru were finally crowned the champions. But looking back at their campaign, it was quite deserved. Bengaluru FC have so many match winners. On any given day, a certain Sunil Chhetri or Miku would win a game for his team. But Sunday was not the night for these warriors. While Miku wasted a couple of glorious opportunities, Chhetri was remarkably off colour. However, at the end, both of them left the field smiling, courtesy a man who scored the most valuable goal of his life in his hometown. Rahul Bheke truly had an astonishing season this time. After switching from East Bengal to Bengaluru, the full back has improved his skills leaps and bounds. He has gone on to become one of the best in the country to play in that position. Stephen Constantine must rue his decision for not including this pure genius in his Asian Cup side. But well, the past is the past. Bheke shrugged off all his disappointments and probably a winning goal in the final was something he would cherish forever in his life. It was a true reward of what he has achieved so far. It will glorify his career, which has been underestimated time and again. Nobody would answer affirmative if they were guessed to ask the goal scorer in the final. Almost all of the fans wanted either or Miku or Chhetri to find the back of the net. Even some fans brought a Venezuelan flag with them to motivate Miku. Honestly, he had tried everything, but perhaps it was not his night. Not the ideal night for Chhetri too. We have rarely seen him so frustrated in the field. He was tightly marked by Seriton Fernandes throughout the game. Then, someone had to come and take the opportunity. 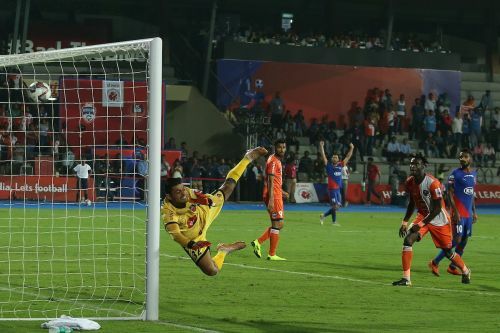 And Bheke’s goal only proves Bengaluru were destined to take the trophy.